However, if you actually right-click the description will disappear and you'll be taken back to your inventory. 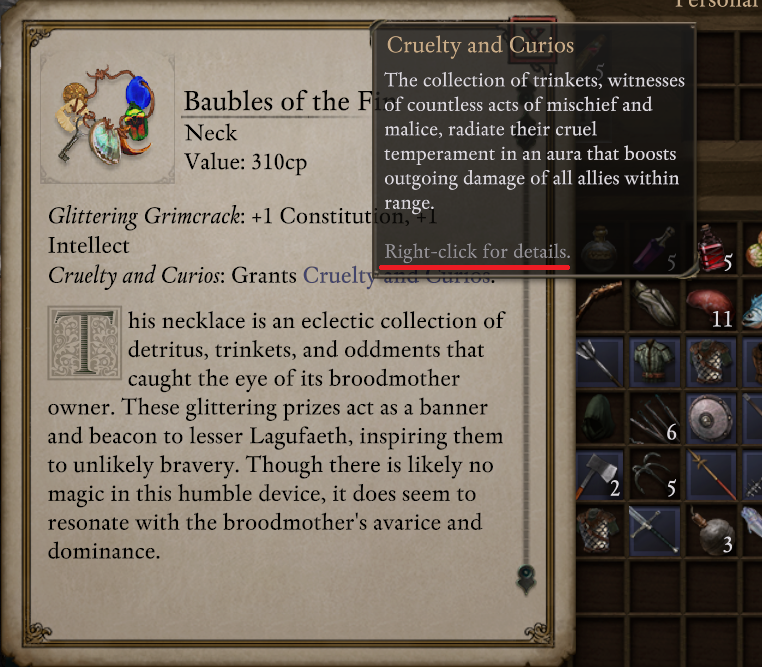 If you want to see the details for Cruelty and Curios you need to left-click instead. Either the UI should read "left-click", or behavior should be inverted for mouse buttons.